for LAN or PCIe configurations. 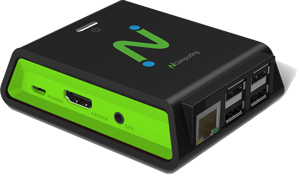 The NComputing MX-series is our latest 3-user thin client kit that changes the game for affordable and green computing. 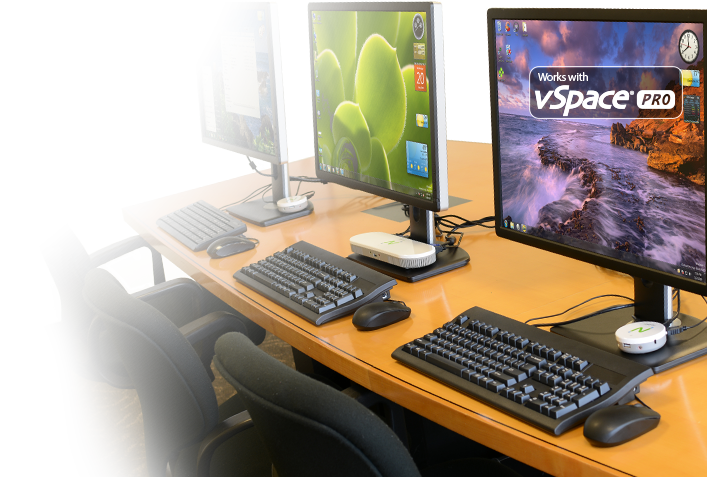 It is a desktop virtualization solution comprising of vSpace Server software and MX-series thin client access devices. The MX-series rewrites new affordability standards in shared computing by slashing as much as 65% in acquisition cost, 80% in maintenance cost and 90% in energy cost when compared to an all PC-based solution. Made possible by the MX-series’ simplicity, high performance, manageability, security and low cost. 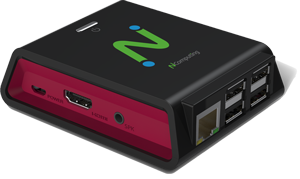 The MX-series combines the best features of NComputing’s widely popular M-series and X-series with the support of a LAN-based or direct connection-based virtual desktop deployment, with enhanced multimedia performance, superior graphics and support for the Gigabit network. The green advantage of MX100 helps organizations pursue their missions, with effective IT solutions, while at the same lessening their environmental impact. The MX-series is the benchmark for a low cost, simple, powerful and affordable PC Expansion alternative. As the industry's premier 3-in-1 thin client offering, the MX-series delivers a high-quality, media-rich Windows desktop experience to 3-users. 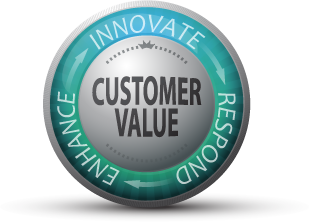 Architected as an end-to-end solution and built to be simple to deploy, operate and maintain; the hardware, software and protocol components work seamlessly to provide the ultimate user experience. The effectiveness of the solution ensures that users are unaware that their desktop is running from a single computer and the whole solution can be managed by users with only basic IT computer skills. The MX-series is available as either the MX100D or MX100S. 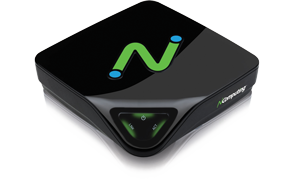 Both are compatible with NComputing vSpace Server 8.4 and vSpace Pro. MX100S is compatible with vSpace for Linux. 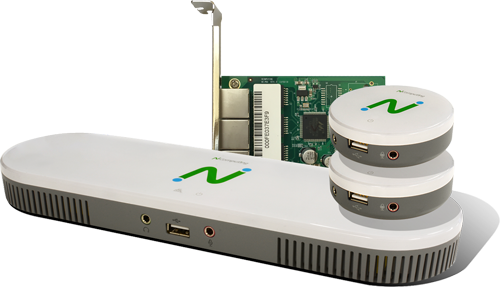 This allows 3 users, and is expandable to 9 users by adding up to two additional MX100S kits (not included) without the need for a LAN. MX100S: Connect to the host computer via LAN. Using your existing LAN, 3 users can connect to the vSpace Server through a single network connection. Ready to get started? Let's go. 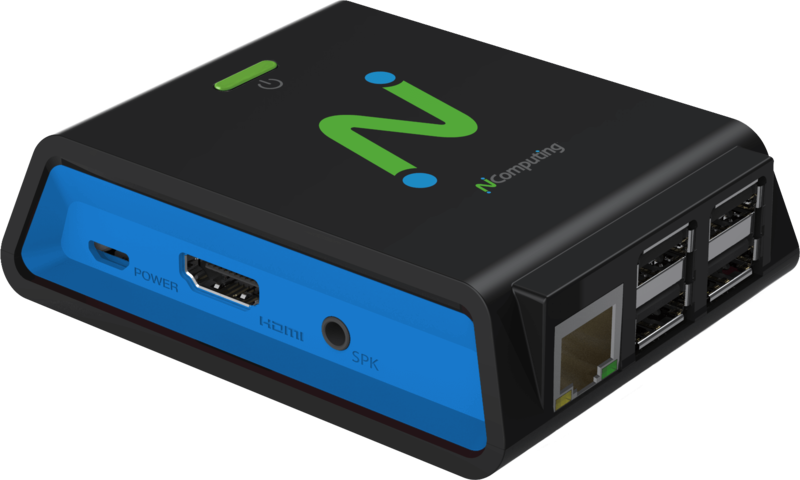 If you need technical help with NComputing products you currently own, please click here to submit a support ticket so we can help you faster. If you have questions about our products and services, and wish to speak with an NComputing representative, please complete this form and we will contact you shortly. See how the MX-series compares to our popular legacy products. How many users can each MX100 kit support? Every MX100 kit supports 3-users. What’s versions of vSpace Server software support the MX100? All MX100 kits require vSpace Server for Windows version 8.4 or later. Earlier versions of vSpace Server software do not support the MX-series devices and you will not be able to use MX-series devices on these earlier versions of vSpace Server software. MX100S will also work with vSpace for Linux. What’s the difference between the MX100D and the MX100S? The MX100D Direct Connect Edition does not use a Local Area Network to communicate with a vSpace Server. It is designed for use where there is no existing Local Area Network infrastructure. 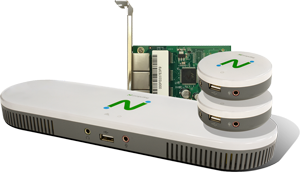 The MX100D kit includes a MX100-PCIe card, a PCIe x1 card, that must be installed in the vSpace Server host computer for connectivity with the client devices through a single Cat5e/Cat6 cable for both data and power. MX100D kits must be used in proximity to the vSpace Server host computer as the maximum cable distance connecting the 20 meters. The MX100S Standard Edition uses a standard Local Area Network to communicate with a vSpace Server. It is designed for use with an existing Local Area Network infrastructure, enabling the MX100 access devices to be located anywhere on the LAN, giving the option to use the devices at much greater distances from the vSpace Server host computer when compared to the MX100D Direct Connect Edition. The MX100S Standard Edition kit can also be used in conjunction with a MX100D Direct Connection Edition to add support for an additional 3-users to the MX100D. How many MX100D users can be supported by a single vSpace Server host computer? The number of users that can be supported depends primarily on the capability and resources available to the host computer running the vSpace Server software. Each MX100D Direct Connection Edition kit requires an available PCIe x1 slot in the vSpace Server host computer. The MX100D is a 3-user kit that can support up to 9-users by purchasing additional MX100S Standard Edition kits. Each MX100S kit will support up an additional 3-users. A maximum of two MX100S kits can be used with each MX100D for a maximum of 9-users. For general office productivity computing needs, NComputing recommends 1GHz of CPU performance and 2GB DRAM for each user. Using these parameters, a single quad-core CPU clocked at 3.0GHz with 24GB DRAM can support up to 12 users and provide sufficient headroom to support a MX100D configured to support 9-users. How many MX100S users can be supported by a single vSpace Server host computer? For general office productivity computing needs, NComputing recommends 1GHz of CPU performance and 2GB DRAM for each user. Using these parameters, a single quad-core CPU clocked at 3.0GHz with 24GB DRAM can support up to 12 users. Why isn’t there a power adapter included with the MX100D Direct Connect Editions? The MX100D is powered using PoE (Power-over-Ethernet) technology eliminating the need for a separate power adapter. The MX100-PCIe card that is included with each MX100D Direct Connect Edition kit provides power to the MX100 devices. It is important to ensure that the host computers PCIe slot and power supply can provide a minimum of 30W. What is the maximum length of cable I can use to connect an MX100D to the host computer, when connecting an MX100D via a MX100-PCIe card? You may use Cat5e or Cat 6 cable with a maximum length of 20m. What type of Cat6 cable can I use to connect an MX100D to the host computer, when connecting an MX100D via a MX100-PCIe card? You may use Cat 6 cable with straight one-to-one connectivity. Cross over cables are not supported and should not be used. For the MX100D what is the maximum number of MX100-PCIe cards that are supported on the same Host computer? We recommend a maximum of two (2) MX100-PCIe cards per host computer. Remember, it is important to ensure that the host computers power supply and PCIe slot can provide a minimum of 30W for each MX100-PCIe card installed. Can both MX100D Direct Connection Edition kits, MX100S Standard Edition kits, L250, L300 and L350 devices be deployed on the same Host vSpace Server computer? Yes, a vSpace Server host computer can support any combination of these devices. Note the vSpace Server version 8.4 (or later) is required to support MX100 devices. What happens if customer connects a network cable from the MX100-PCie card to a Network Switch or Router by mistake? As a precaution, you should avoid connecting network cables between the MX100-PCIe card and other network equipment. Although, the MX100-PCIe card and other network equipment should be tolerant of being connected to each other, NComputing will not be held liable for any damage that may occur as a result of the MX100-PCIe card being connected to anything other than a MX100-Primary device. Can I replace the supplied 2m USB 2.0 A/B cable with a longer cable? Yes, you must use a high quality USB 2.0 cable (USB 1 cables are not supported), the maximum supported cable length is 5m for a USB 2.0 A/B cable. What is the maximum VGA cable length that I can use with MX100 devices? The length of VGA cable that can be used will depend very much on the quality of the monitor being connected to and the VGA cable itself. With a good quality monitor and cable you should be able to use cables up to 5m. With poor quality monitors and cables you may be limited to using cable lengths of 2-3m.